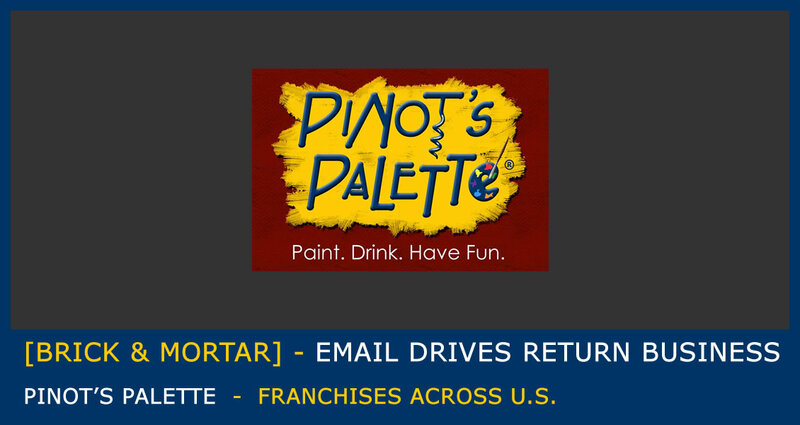 With locations across the US, Pinot’s Palette franchisees need a quick, engaging way to capture customer emails. A fun, follow-up email campaign drives repeat business and helps create top of mind awareness. A counter top kiosk featuring an iPad and quick iCapture questionnaire is self contained and easy. The icapture system takes the responsibility of data capture out of the staff’s hands and ensures data continuity by asking for the same data from every visitor, every time. Pinot’s Palette in Georgetown, Texas uses a clever play on the company slogan to get customers immediately excited and engaged. Asking an engagement question, and a few quick contact info details gives the owner valuable data while getting the customer finished quickly and on to having fun. Vital to Pinot’s Palette is rapid data entry. iCapture’s custom in app keyboards improve data entry speed by up to 30%. Keyboards are designed to provide only keys necessary to respond to the question being asked. Our email screen offers preloaded, customizable domain names and common email characters like @, .com, .net, .org. No wasting time shifting between device keyboards. Through our automatic integration, iCapture is able to send Pinot’s captured data directly to their Constant Contact list(s) for better follow up. A tailored email marketing campaign is key to re-engagement and repeat business.